Most of the factories I visit present few surprises in the manufacturing process. 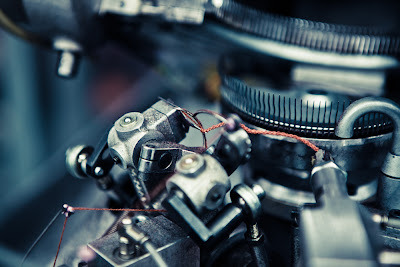 I’ve seen a lot of looms, from Hattersleys made in 1910 to the latest air-pressure machines that make up most of the production at Loro Piana, Zegna and others. But I’d never seen how socks are made until I visited Bresciani a few weeks ago, in Spirano. Socks are made upwards. This is slightly surprising at first, rather like seeing how bananas grow (also upwards). Two serrated discs, slightly larger than the circumference of a sock, knit the yarn fed in from cones above them. The whole machine is circular, and no more than three feet wide. The sock gradually grows into a plastic tube at the top, before shooting up – when it has reached the desired length – around a corner and down into a little basket. There are four different types of machine at Bresciani – for plain socks, micropatterns, woven patterns, Argyles and delicate materials like silk and cashmere. The Argyle model is by far the most complicated, with around a dozen different cones sitting around it in a multi-coloured halo. The socks that come out are open at both ends. The only other production step is to sew up the toe. Now, for a long time quality socks have proudly described themselves as ‘hand linked’. 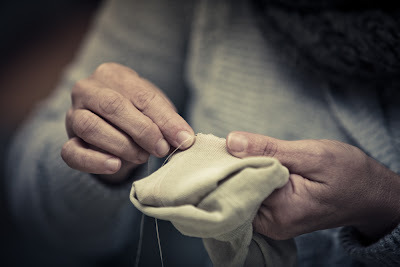 This is not hand sewing. It means that the two sides of the toe have to be fed onto a serrated wheel by hand, one tooth per strand. 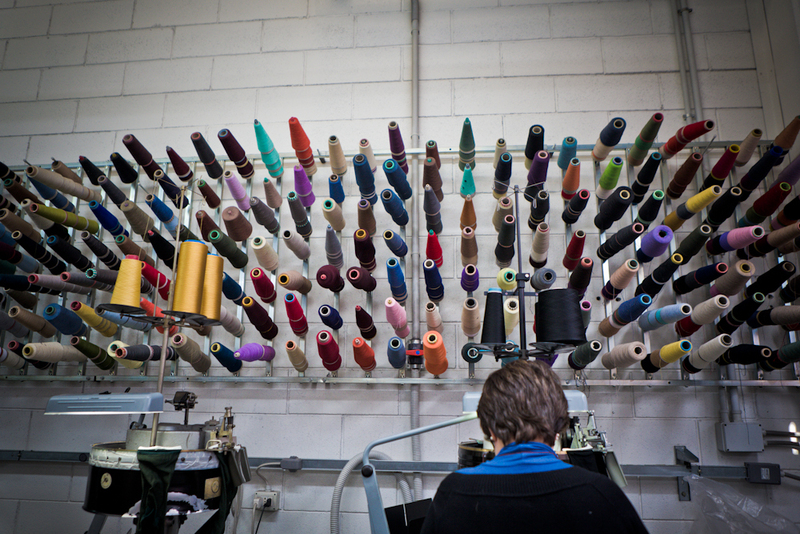 Four people at Bresciani do this work – a large portion of a workforce of only 30. But around 10 years ago a machine was finally produced that can do the same work. Bresciani has three of them at the moment and is buying a new one each time one of these workers retires. According to the lovely Massimiliano Bresciani, who showed us round, there is no difference in quality. You can see the process very clearly on the machine in fact – it has to be done quite slowly, so you can watch each thread being linked on. 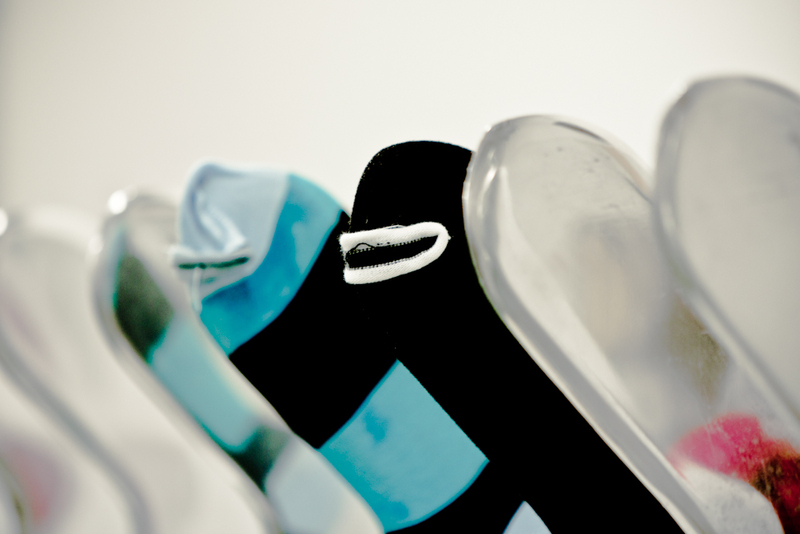 Quality in socks comes from these processes, the materials used and – perhaps most important of all – the quality checks. More people do this at Bresciani than any other job. Their wastage is high, and I love the fact that there is a room where batches of socks are tested on both a ‘typical’ house hold washing machine and an industrial-sized dry cleaner. There aren’t many sock producers of this type in western Europe any more – depending on your definition, one or two in the UK and three or four in Italy. French and Spanish producers have been bought or closed down. So it’s not hard to try all of them, and in my experience Bresciani makes the best. What I can’t tell you is what leads to that quality. It is in all likelihood a combination of all the things mentioned here, plus functional design and research. On a personal level, I love the fact that a big chunk of the Bresciani workforce is immediate family. Massimiliano’s father (the founder), wife, brother, son, sister-in-law and sister-in-law (by blood and marriage) all work there. Of the two sisters-in-law, one attaches the cardboard labels and the other hand makes all the sample books. It is, if you will forgive me, a close knit group. 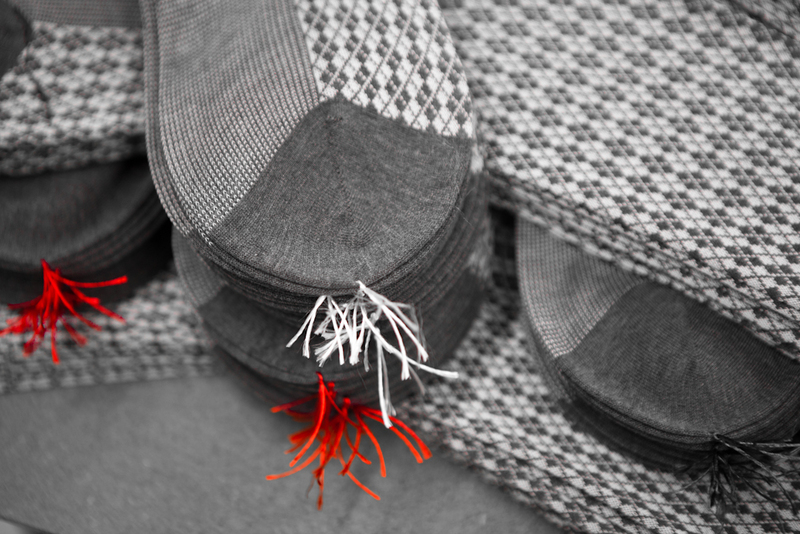 You can follow the discussion on Bresciani – factory visit by entering your email address in the box below. You will then receive an email every time a new comment is added. These will also contain a link to a page where you can stop the alerts, and remove all of your related data from the site. Interesting. But where does one get hold of Bresciani socks online? Thank you for the informative post. I am curious about the Spanish mills you mentioned, specifically Pulligan, the socks from which are still widely available in Spain even though my shirtmaker tells me they no longer operate. Do you know if they’ve been bought and closed down or just closed down. Slight typo above – ‘Bresciani has X of them’. I do rather like the idea of trying all of these wonderful sock makers. Who are the other British and Italian firms? Bresciani and other sock sizing is oddly non-specific: there are 6-7, 8-9, 10-11 available. I wear a 7.5 shoe. Round up or down in your experience?